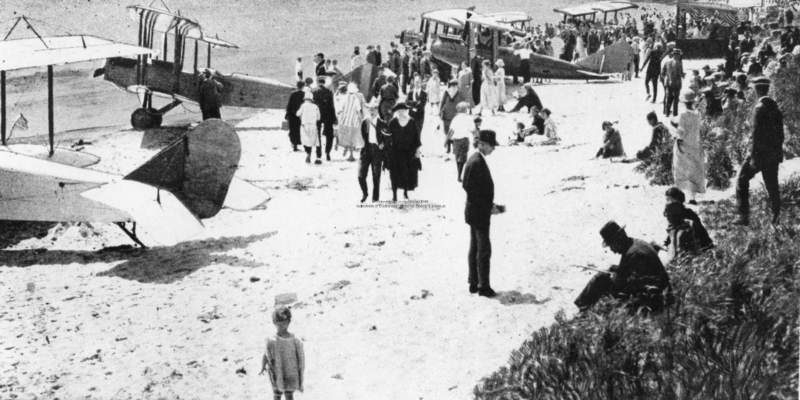 Scarborough airport, actually the Portland Airport, was dedicated on 28 and 29 September 1928. An air show complete with parachute jumpers was held to commemorate the occasion and many flying greats were guests. A booklet, Portland Air Meet, with pictures of the different types of planes present was available that weekend at the cost of 10 cents. Land for the airport was purchased from Lida Libby and George Eastman. The tract was slightly north of the Portland, Saco & Portsmouth Railroad tracks and the western edge bordered the marsh. It is now the site of Scarborough Industrial Park. In 1929 Curtis Wright Corporation built a nearby log cabin intended as a barracks for a summer flight school. 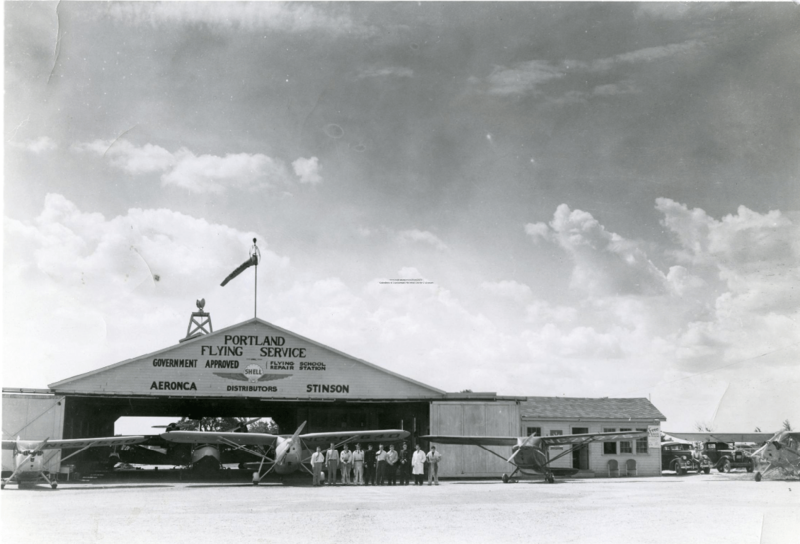 This school, which opened on 8 April 1930, was the first in the nation to offer a campus-like flying school. The first class attended from 20 June until 14 September 1930 and had approximately 120 college men from all parts of the country. (1) At the time it was said that Portland would be ready to take its place among the great commercial airports of the world. Locally owned and developed entirely of local capital, the Portland Airport at Scarborough was deemed adequate for any commercial purpose. Within ten years of opening, the Scarborough (Portland) Airport was inadequate for the increasingly larger, more powerful aircraft. Since there was insufficient space for expansion in Scarborough, airport operations were relocated to Stroudwater, location of today’s Portland International Jetport. 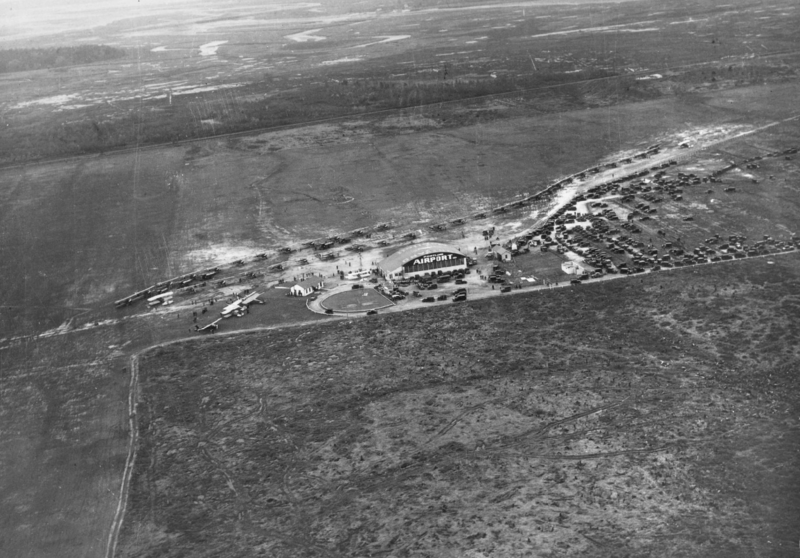 The Scarborough complex was used for private enterprises, such as air shows and flying schools. Fire destroyed the hangar in the late 1940s and no trace of the airport remains today. This entry was posted in Pine Point, Pleasant Hill, Uncategorized and tagged Airport, Amelia Earhart, Boston & Maine Airways, Charles Lindbergh, Joseph Snow, Port-of-Maine Airport, Scarborough Airport. Bookmark the permalink.